Will implantable health gadgets be big in 2013? We’ve all become accustomed to health gadgets that hook onto our belt loops, sit in our pockets or strap onto our arms, but could gadgets that are implanted into our bodies be the next big health tech trend of 2013? Well if US-based company IntraPace has its way, gadgets that are implanted into user’s digestive systems in order to stop them feeling hungry are going to be the next big thing. Ouch. Jawbone is back with its Up bracelet, which may have failed on epic proportions when it was first released but all of the kinks have been ironed out (hopefully) and it’s set to take on the likes of Nike’s FuelBand or Fitbit’s One. The challenge now is whether other brands have already overtaken Jawbone in this space and whether the bad press from the last version of the gadget will mean it’s already doomed before people even get to try it. Self-tracking devices may be advancing, but they still look a bit rubbish and out of place strapped to our arms, belt buckles and bras, right? Well, enter the Shine. 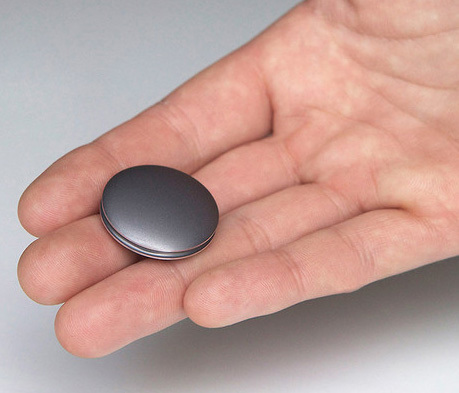 Yep it looks like a watch battery or a teeny tiny spaceship, but the gadget created by Misfit Wearables aims to give users a great self-tracking experience in a cute package. Advances in mobile health don’t have to be over-complicated, company BetterFit has been working on a way to make communications between doctors and patients much easier. The new system asks users questions in text messages and once they reply it determines the next steps. Health Secretary Jeremy Hunt has revealed a plan of health tech objectives and goals for the next few years, which included providing patients with more tools to take charge of their health, like the ability to book appointments, look at test results, order repeat prescriptions and even access past records online or via mobile.